Extraction Method: Cold Pressed. Avocado Carrier Oil contains Vitamins A, B1, B2, D, E, and Beta carotene. It is classified as a monounsaturated oil and is best suited for dry skin conditions in topical applications. Common Uses: Small amounts of Avocado Oil is typically added to other carrier oils in order to enrich protein and vitamin content. It is used predominantly by manufacturers (particularly great in soaps, lotions and creams) and massage therapists. We are buying our oils from organic certified supplier, made from organic ingredients. 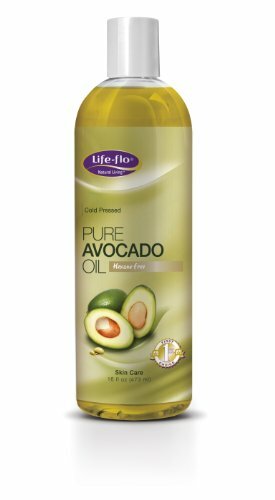 Shelf Life: Avocado Carrier Oil is slow to go rancid; users can expect a shelf life of 1 year with proper storage conditions (cool, out of direct sunlight). Your item(s) will be shipped the same business day or next business day of confirmation of payment if received by 3:00 pm PST. (not including weekends or holidays). When you receive your item and are pleased with our transaction, please let us know by leaving positive feedback, we will do the same for you in return. Look forward to do business with you, H&B OILS CENTER Co.
Moisturizing and Revitalizing with Antioxidant Vitamin E. Suited for dry, dehydrated, mature, and undernourished skin. Via Nature Skin Care Oils are developed to blanket and nurture and your skin with rich emollients. These oils are often referred to as "Carrier Oils" because they are a popular oil for the therapeutic delivery of essential oils. Via Nature Oils are excellent for conditioning and hydrating your skin. These special oils support all types of healthy skin and are the perfect base for the creation of personalized skin care blends. Try adding Via Nature Essential Oils to skin care oils for an added fragrant experience and other essential oil benefits. This cold pressed oil is incredibly popular in moisturizers because it is brimming with vitamins A, B, D and E, as well as many proteins and lecithin. Using avocado oil will slow the signs of aging, due to its high vitamin A content. Avocado oil promotes the growth of collagen and works to make skin strong, resilient and retain its youthful glow. The monounsaturated fats in avocado oil make it an excellent emollient. The oil penetrates deep into the skin to keep it soft and hydrated. It is safe for all skin types, and is recommended for those with sensitive or dry skin because it is both gentle and extremely hydrating. Avocado oil is especially useful in the winter, when it is a true challenge to retain skin's moisture against the wind and cold temperatures. Adding avocado oil to your shampoo and conditioner is a great way to moisturize dry hair. If you struggle with a dry, flaky scalp, massaging a few drops avocado oil directly onto your scalp once or twice a month may alleviate your symptoms. Avocado oil nourishes and restores dry, dehydrated and mature skin. This is a rich, heavy oil that is best blended with other carrier oils. Skin problems, especially eczema and psoriasis, respond well to its high content of vitamins A and E.
Botanical Name: Persea Americana. Extraction Method: Cold Pressed. Processing Type: Refined. Obtained From: Fruit Pulp. Organic: Made without pesticides, GMO's, or hexane. Ingredients: Avocado oil, 100% Pure with NO additives or carriers added. 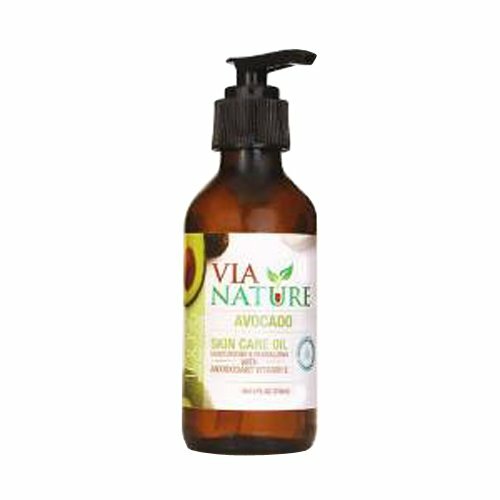 Description: Avocado Carrier Oil contains Vitamins A, B1, B2, D, E, and Beta carotene. It is classified as monounsaturated oil and is best suited for dry skin conditions in topical applications. Color: Pale yellow to golden yellow liquid. Aromatic Description: Avocado Carrier Oil has very little scent characteristic of most carrier oils. Common Uses: Small amounts of Avocado Oil is typically added to other carrier oils in order to enrich protein and vitamin content. It is used predominantly by manufacturers (particularly great in soaps, lotions and creams) and massage therapists. Consistency: Typical and Characteristic of Carrier Oils. Absorption: Avocado Carrier Oil will leave a sticky, waxy feel if applied topically to large areas of skin. We are buying our product from organic certified supplier, made with organic ingredients. Shelf Life: Avocado Carrier Oil is slow to go rancid; users can expect a shelf life of 1 year with proper storage conditions (cool, out of direct sunlight). Refrigeration after opening is recommended. Your item(s) will be shipped the same business day or next business day of confirmation of payment if received by 3:00 pm PST. (not including weekends or holidays). When you receive your item and are pleased with our transaction, please let us know by leaving positive feedback, we will do the same for you in return. Look forward to do business with you, H&B OILS CENTER Co.
Botanical Name: Persea americana Extraction Method: Cold Pressed Source: Avocado pulp Most people know Avocado Oil as a cooking oil. But physicians have long known that Avocado Oil has regenerative and moisturizing properties. Avocado contains Vitamins A, B1, B2, D, E, and Beta carotene. This makes it perfect for treatment of dry skin. Avocado Oil keeps the skin moist, rejuvenates it and reduces wrinkles. Avocado Oil can also be used to reduce inflammation. It can treat injuries, scars and sun damage. Small amounts of Avocado Oil are usually added to other carrier oils in order to enrich protein and vitamin content. It is very popular with massage therapists and manufacturers. Avocado Oil tends to be used in soaps, lotions and creams. Avocado Oil is a pale yellow to golden yellow liquid. It has very little scent characteristic of most carrier oils. Avocado Oil is suitable for food and cosmetic use. 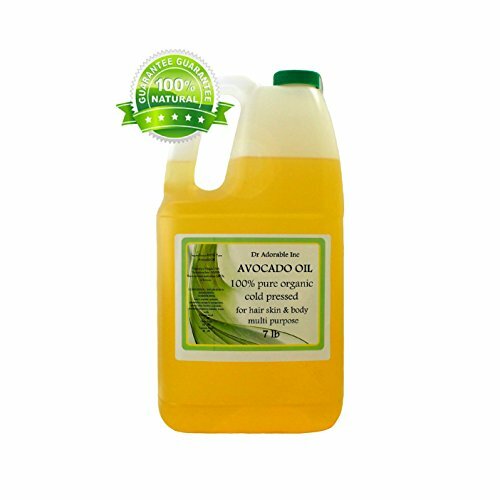 Properties: Virgin Avocado Oil is extracted from the fleshy pulp of the avocado; the flesh is sliced, dried and ground before being cold pressed. The virgin oil is normally a dark green, viscous liquid with a strong characteristic aroma. Avocado Oil is nutrient, rich, emollient and boasting high levels of lecithin, vitamins A, B1, B2 and D and a range of fatty acids. This oil can provide moisture and nourishment to dry, damaged and mature skin as it can penetrate the upper layers of the skin. 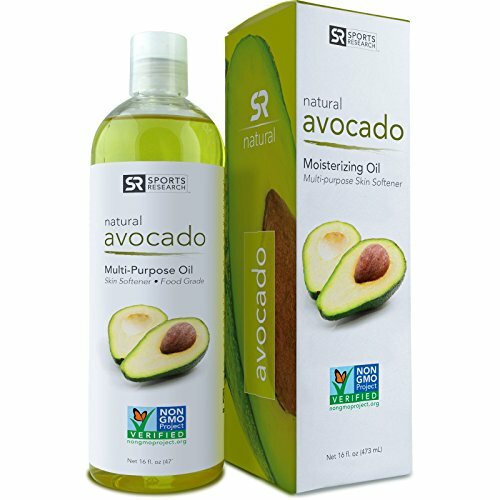 Main Uses: Avocado oil is commonly used as a base for massage and is considered beneficial in preparations used to relieve muscular aches and pains.This oil can be used on its own, but is often mixed with other lighter oils such as Sweet Almond or Grapeseed as it is a viscous and strong smelling oil. In skincare Avocado Oil is versatile and can be used in creams, lotions, balms and serums; it is also a popular ingredient in soap making. The oil is considered suitable for all skin types but is of particular benefit to those with dry or mature skin. Avocado oil is also believed to have healing and regenerative properties; it can be used topically to soothe skin inflammation and is said to prevent premature aging. The oil is also believed to stimulate hair growth. Ingredients: 100% Avocado Oil Indications: Store in a cool, dry place away from sunlight. Note: For external use only. Do not ingest. Note from seller We describe and promote our products in good faith. The information provided about the beneficial properties of all of our products are derived from the use and characteristics commonly attributed to it. The views expressed in the descriptions are not based on facts and benefits of our products may vary from person to person. It is always advisable to seek the opinion of a professional in the field. 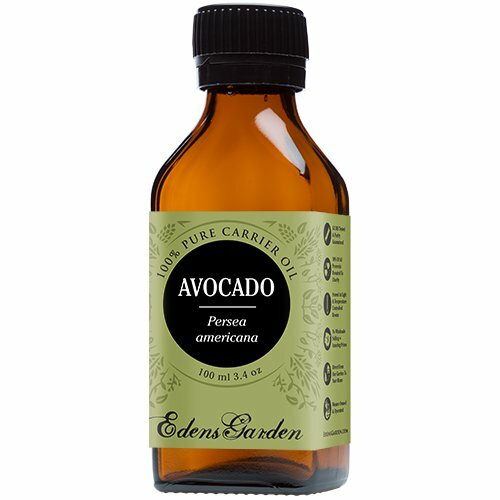 Avocado Carrier Oil 4 oz. A Base Oil for Aromatherapy, Essential Oil or Massage use. Avocado Carrier Oil contains Vitamins A, B1, B2, D, E, and Beta carotene. It is classified as a monosaturated oil and is best suited for dry skin conditions in topical applications. Note that Avocado Carrier Oil will leave a sticky, waxy feel if applied topically to large areas of skin. Rich texture that hydrates and moisturizes skin dry, damaged skin; prized for problematic skin. 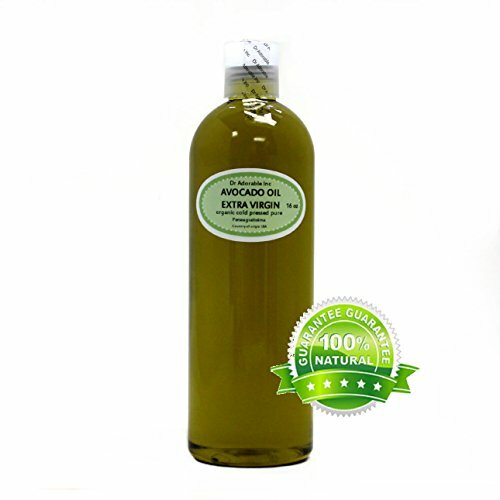 Pure Avocado Oil SR Avocado Oil is extracted from the flesh of the avocado fruit not the seed. This oil has the highest concentration of monounsaturated fats, potassium and vitamins A, E and D. It is also rich in antioxidants as well a beta-sitosterol and omega 3 fatty acids. Avocado benefits are vast, and not just limited just to cooking or eating. Benefits for your Skin and Scalp Is your skin dry and itchy? Then you may benefit from Pure Avocado Oil. The moment you apply it on the skin it will be absorbed deeply into the skin layers. This automatically makes it an excellent skin moisturizer and care agent. In addition to being kind to the skin, this oil also helps to relieve dry and itchy scalp. Beneficial Uses ?SKIN: Apply a few drops to fingers and apply to skin after immediately after showering. ?SCALP: Apply a few drops to fingers and massage into scalp for several minutes. Leave in hair overnight and gently rinse out with Lukewarm water. ? COOKING: Avocado Oil is great for cooking because of its high smoking point. Cooking with avocado oil make sense, with its superior fatty acid profile, phytosterols and high antioxidant content. To top it all off, avocado oil probably tastes far better than just about anything you've ever cooked with before. A FAMILY TRUSTED COMPANY FOR OVER 30 YEARS Sports Research (SR®) is a Family Run Company dedicated to providing the highest quality health and wellness products that complement your lifestyle and enhance your well-being. SR natural products are made from pure, nourishing botanicals specifically designed to rejuvenate, restore and improve the overall look and feel of your skin.